"It’s not for me to tell you what you should and shouldn’t do. But if you haven’t got a hearty selection of stripe shirts in your wardrobe, may I gently suggest you take a good long look in the mirror? 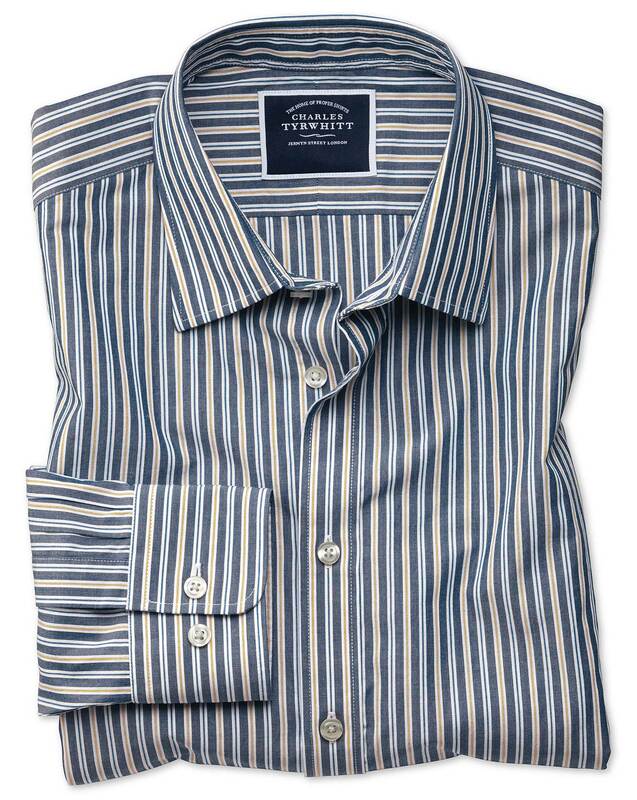 These stripes come in a lighter fabric, which makes them ever so easy to wear." "Garment washed for unimaginable softness, this shirt is the epitome of relaxed."